How to hack Wechat account secretly? How to spy on someone Wechat on iPhone and Android? ….and all other account activities. Sounds good, does it? I try and test most of the Mobile Spying apps which are present on the Internet. Now I want to show you the best WeChat Hacking tools which can hack and spy on someone activities secretly without anyone knowing. The Mobile Phone Spy solutions which I will present you here are used for secretly monitoring on someone iPhone and Android activities. This means that all apps have the invisible mode which will allow spy app to become completely invisible for the account owner. So let’s see how to hack Wechat Account and secretly spy on its Activities. As you know the WeChat is very frequently used the chating app by younger and older population. That is the main reason why users wanna learn how to hack WeChat account. The thing you should note is that this is just an app and like other apps, it can be hacked and spied. So do you wanna learn how to Hack Wechat Account and spy on it’s activities? If you are here it is fair to assume that you do. The thing you should note is that it can’t be done with one or two clicks. I did it with the specially designed app and also I had to set it up on the mobile phone I want to monitor. So you will need mobile phone spy app which will provide you the way to hack and spy on someone activities secretly. Does this sound logical to you? …secretly and easily. There are many apps that are used for monitoring someones iPhone and Android activities but I wanted to point out the best one for Wechat account hacking. In just a few second you will learn the best apps that can hack and spy on Wechat activities secretly. Which are the Best Apps that can Hack and Spy on WeChat Activities Secretly? Also, because of the many users which ask me about the app that can be setup easily and it is cheap, I point out one app that satisfies this criterion. On the other hand, I point one app that is very powerful and allow you many other options like password taking. Also, it will allow you to spy on many other iPhone and Android activities secretly. As you probably suspect this app is more expensive but it will provide you with the someone account password and you will be able to log in to their account whenever you want. Does this sound good to you? Highster Mobile is these days the most cost efficient app on the market. It allows you to spy on many activities and still cost less than other concurrent apps. Also, the thing why I point it out as the best hacking app for WeChat is because it is very simple to set it up. Also, Highster Mobile has the ability to stay stealth so it can’t be detected by iPhone or Android owner on which WeChat account you are spying on. Do you want to this ability too? All of this features makes Highster Mobile the best solution to hack WeChat account and secretly spy on its activities. Where can I see all spied owner account activities? When I setup Highster Mobile it immediately start to spy on all iPhone and Android secret activities. The reports started to come in the next 5 minutes. So after 5 minutes, I was able to see all activities that have been happening on the target mobile phone in the past week. How to see someone deleted WeChat messages, calls, photos, videos and contacts? As well as other information like call logs, date and time when past activities happen and who were sender and receiver. That was pretty shocking because I didn’t believe that this can be done with this cheap hacking tool. Do you want to see someone deleted WeChat Activities? How Long will Highster Mobile Spy on iPhone or Android Mobile Phone Activities? So the first option is basically used for battery saving. If you don’t want to monitor some activities you can simply turn it off with one click. This will result in low battery consumption on the monitored iPhone or Android mobile phone. On the online control panel, I find under the settings menu a secret command to stop monitor designated mobile phone. Once you send this command the application will immediately stop with spying. Final Conclusion on How to Hack WeChat Account with Highster Mobile? This was my review on how to hack WeChat account with Highster Mobile. If you read the article above you can easily conclude why I point out Highster Mobile app as the best Wechat hack and spy app. …even if the logs were deleted for 1 week. Also, the final advantage I find out using Highster Mobile is that this app is cheaper than other concurrent product. On the end, I can say that if you really want to hack and spy on someone WeChat account without the owner knowing then you should try Highster Mobile App. It setup process is easy and it takes me less than 3 minutes. So do you want to Hack Someone WeChat Account in the Next 3 Minutes? Spyera is the app that was on the market for a long time. This means that it has been upgraded many times up to now and right now there is no app that is more advanced than Spyera mobile phone software. …and all other passwords that have been inserted in the iPhone or Android mobile phone you monitor. What Can I Do Once I Have Someone WeChat Account Password? As you know once you have someone WeChat account password you can simply log in to the account by yourself whenever you want. It is the feature that provides you the complete view in someone secret activities. It is right now the best way to simply take full control over someone mobile phone activities. Once I setup Spyera App I was surprised because it takes all my passwords. Many users ask me where can I see all the passwords that have been extracted? …that has been provided to you with the purchase. However, as I mention above the Spyera app is advanced than Highster Mobile but it is more expensive. However, once you get all the passwords and log in to the monitored person’s accounts, you will feel happy that you purchase it. So do you want to extract someone accounts passwords? Final Conclusion on How to Hack WeChat Account with Spyera Phone? In the above part of the article, you could see how to hack WeChat Account with Spyera phone. I also show you all the abilities that this software provides to you once the hacking has been done. …and the best part is that no-one will ever know because the Spyera app is all the time in invisible. The disadvantage of this spy software is that it cost more than other solutions but as you could see above it gives you more. I find this solution very powerful and it provides me high spying pleasure. I am sure that if you use Spyera Phone you won’t regret it. So If you want to use the most powerful hack and spy Wechat solution use Spyera WeChat hack and spy tool. Why Should I Use Spy App? The spy app is the specialy designed tool for iPhone and Android spy. This means that these apps will provide you the best way to spy on someone secret data. Also, spy apps will need to hack mobile phone device in order to start spying. That is why spy apps are currently the best option to hack someone mobile phone and then continue to spy on its activities. Does this sound logical to you? This is all powerful reasons why you should consider to use the spy apps. However, there are legal problems so you should always look for the legal advice about spying on someone mobile phone activities. However, the spy app is for many users the first choice and this technology is on the market for a long time which means that people use it. So do you want to use spy app in order to get someone mobile phone data? 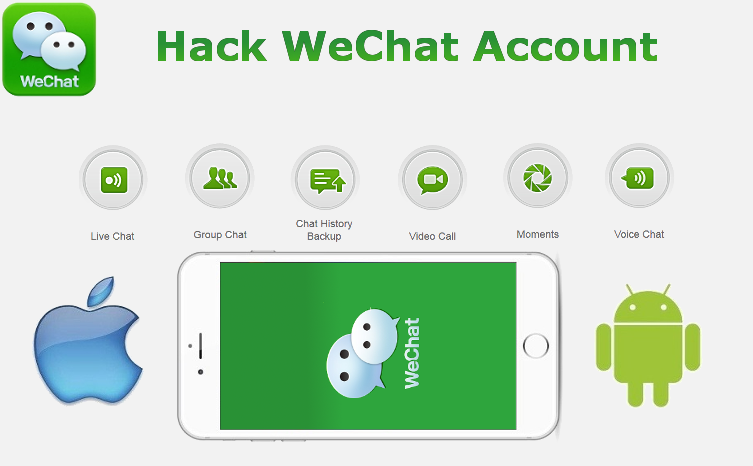 How to Hack WeChat on iPhone and Android? 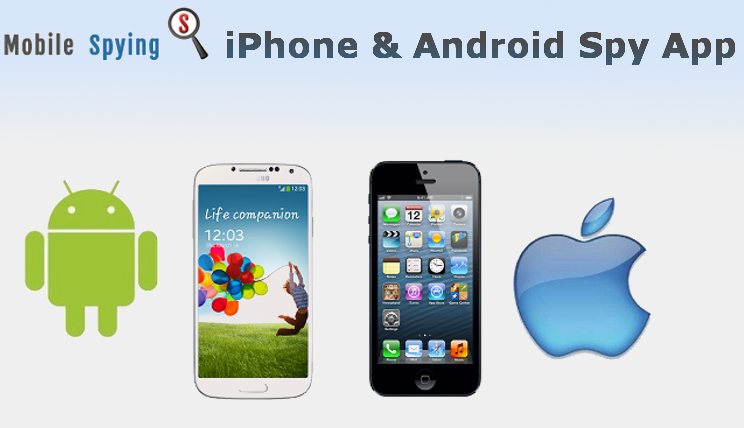 The main smartphone platforms are iOS for iPhone and Android for Android cell phones. It is logical to assume that all major hacking and spying tools will focus on iPhone and Android smartphone monitoring. Do you agree? …spy app which will do the job. I used many other apps but the results were not so satisfying. So I highly recommend you to use Highster Mobile to hack Wechat on iPhone and Android. On the other hand, I show you one more option and that is Spyera. Spyera is one of the most powerful spy apps on the market these days and it will allow you to take the someone account password secretly without them knowing. If you want to learn someone password then I recommend you to use Spyera instead. How to Bypass Someone WeChat Password? However, I didn’t explain you how does this spying apps bypass someone account password. The bypassing is made in the setup procedure. The setup procedure is different for every hacking tool. I made instructions for both Highster Mobile and Spyera apps so you can set it up without any problem. You can access the instructions by clicking on the links above. In just a few second you will learn how to see someone account dana remotely without anyone knowing. The reason why spy apps are so popular these days is that it allows you to see someone WeChat dana remotely without anyone knowing. How is possible to see someone WeChat Data Remotely without anyone knowing? It is possible because spy apps are specially designed for someone mobile phone data monitoring and in many cases, this requires stealth mode. So the iPhone and Android hacking tools are working in stealth mode and the mobile phone user will never know that it constantly extract information in the background. Do you need secretly monitoring app too? The Highster Mobile hack tool is a lot cheaper solution which will allow you to bypass WeChat password and secretly spy on all activities without anyone knowing. …account owner password and provided to you. Depending on your needs you can choose between this two hacking tools. Whichever you choose you will not regret it. However, I would recommend you to use Highster Mobile because it is cheap, very powerful and still get the hacking job done.